As the UK continues to give millions of pounds in aid to Rwanda and Zimbabwe, Jenny Cuffe investigates claims those governments are threatening opponents who live in Britain. The UK is the largest bilateral donor to Rwanda, giving around Â£83m a year. President Paul Kagame is praised by the British government for bringing stability and economic growth to a country torn apart by the genocide in 1994. But recently it was revealed that two opponents of the Rwandan regime living in London had been warned by police they were in danger of being assassinated by their own government. Other Rwandans living in the UK have been threatened too. The Rwandan High Commission say the allegations are baseless. Robert Mugabe's Zimbabwe also receives substantial amounts of British aid but via charities and other non-governmental organisations. However, an exile who had attended opposition Movement for Democratic Change meetings in the UK has been revealed as a former torturer. 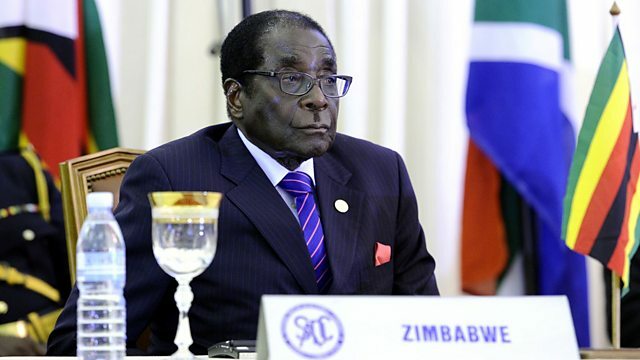 Although he's rejected his past, its alleged the man was until recently on the pay-roll of Zimbabwe's notorious Central Intelligence Organisation - leaving the ex patriot Zimbabwean community scared and in disarray. Jenny Cuffe asks whether in the light of such claims the British government should question its aid policy.